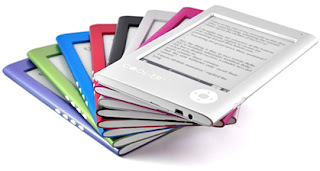 After Sony and Amazon launched ebook reader or rather say "eReader": a replacement for paper books; CoolReader also launched eReader. The availability in various colors imitates iPod Nano. Though, all the three eReaders have quoted the same price. $ 250 is quite much for coolreader.